Item # 314655 Stash Points: 5,195 (?) This is the number of points you get in The Zumiez Stash for purchasing this item. Stash points are redeemable for exclusive rewards only available to Zumiez Stash members. To redeem your points check out the rewards catalog on thestash.zumiez.com. 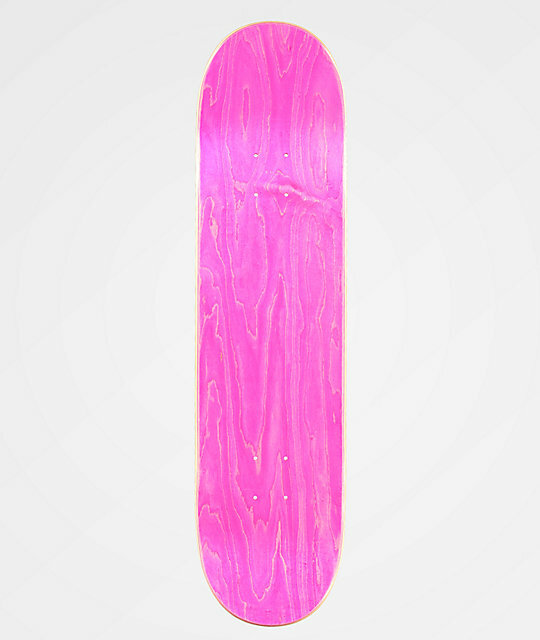 For beefy pop and a responsive feel, look no further than the Fortune Sofia 8.0" Skateboard Deck. Moderate concave helps provide additional flick strength on flip tricks and wide, steep kick tails ensure beefy pop and stable stalls. Finished with small wheel wells for looser trucks or larger wheels, this deck provides tons of customization options. 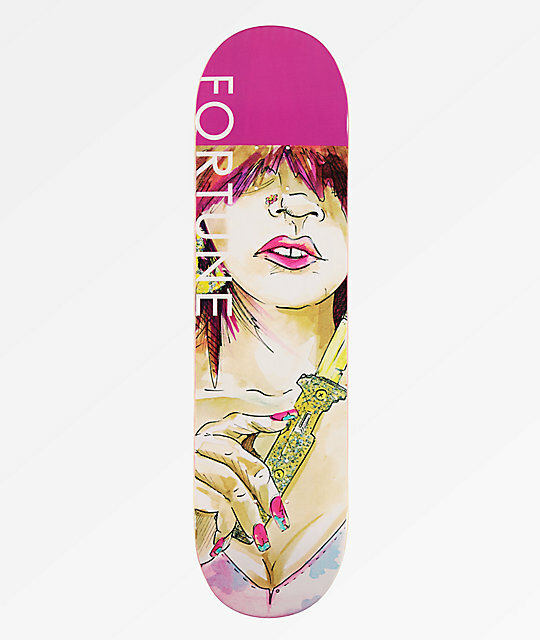 Sofia 8.0" Skateboard Deck from Fortune. Moderate concave and small wheel wells. Wide and steep kick tails with a slight taper.